Hummingbirds in nature are beautiful blurs. Here's a chance to examine one at your leisure, from all sides. 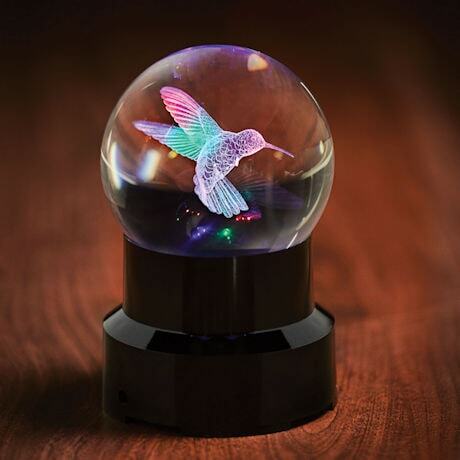 Laser-etched in clear glass, 3-D and highly detailed, it stays perfectly still. 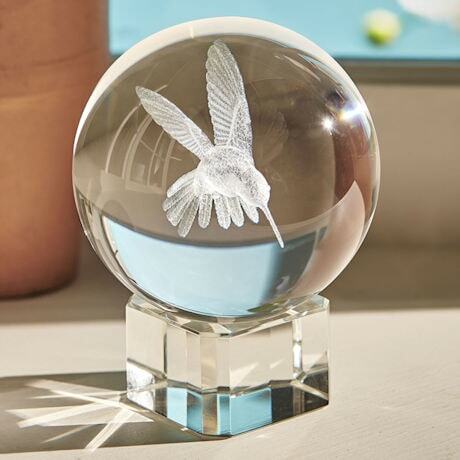 An enchanting accent for home or office, 3" sphere arrives with a 1" high faceted glass display stand (XC5782-sold separately). 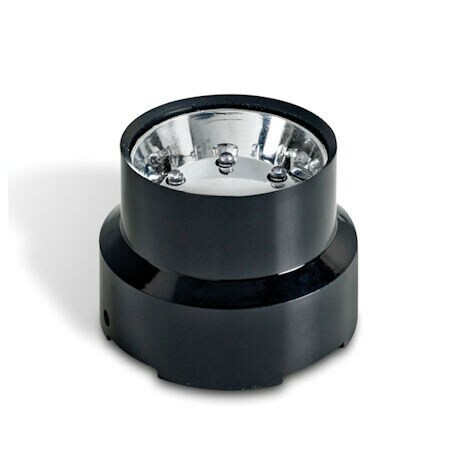 Lighted base (XA7262) is 2.5" high and comes with an AC adapter. Also runs on 3AAA batteries (not included).